Greek cushions There are 5 products. 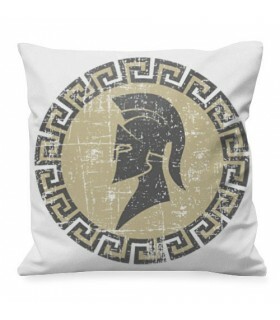 Greek Spartan cushion available in various sizes. Printed on both sides. Made of polyester. Includes stuffing Removable cover suitable for washing machine. Maximum washing temperature 30º C. Iron at low temperature.Suitable for dryer.Dry at low temperature.Do not use bleach. 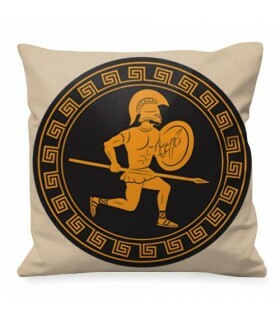 Warriors Fighting Cushion Greek available in various sizes. Printed on both sides. Made of polyester. Includes stuffing Removable cover suitable for washing machine. Maximum washing temperature 30º C. Iron at low temperature.Suitable for dryer.Dry at low temperature.Do not use bleach. 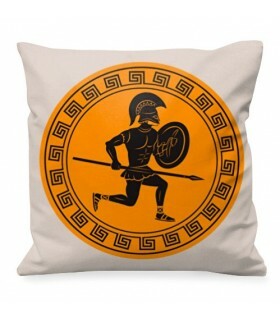 Greek Warrior Cushion with Spear available in various sizes. Printed on both sides. Made of polyester. Includes stuffing Removable cover suitable for washing machine. Maximum washing temperature 30º C. Iron at low temperature.Suitable for dryer.Dry at low temperature.Do not use bleach. 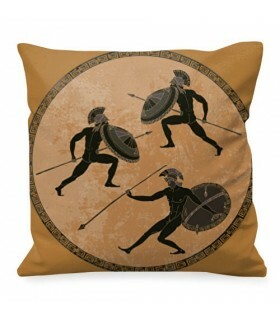 Cushion Warrior Greek with Shield and Spear available in various sizes. Printed on 2 sides. Manufactured in polyester. Includes fill.Cover removable, suitable for washing machine.Maximum washing temperature 30 ° C.Ironing in low temperature.Suitable for dryer.Dry at a low temperature.Do not use chlorine. 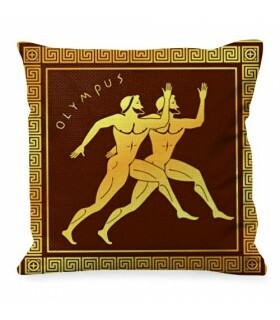 Cushion Greek Olympics, Athletics available in various sizes. Printed on 2 sides. Manufactured in polyester. Includes fill.Cover removable, suitable for washing machine.Maximum washing temperature 30 ° C.Ironing in low temperature.Suitable for dryer.Dry at a low temperature.Do not use chlorine.